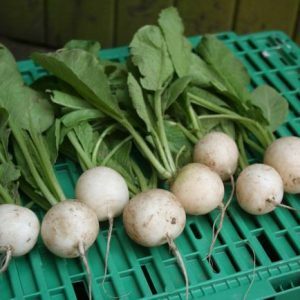 Tozer Seeds radish programme has recently been rejuvenated with the increase in healthy eating and salads. Our breeding effort aims to develop round red hybrids which are uniform, globular shape and are slow to go pithy. 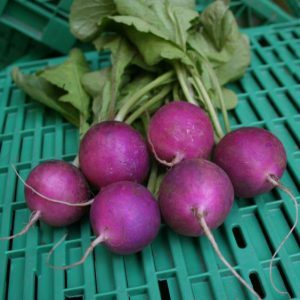 We are also developing a range of different coloured radishes. Striking purple skinned variety that contrasts very well with the crisp white flesh. Slow to go pithy, good shape, strong tops and mild flavour. Interesting pure white variety, good shape and uniformity with strong flavour. Excellent crisp texture contrasts very well with the purple and red varieties in a mixed pack. 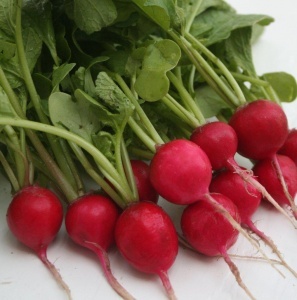 This hybrid radish has bright round red roots with a thick skin and a small crown. The variety is quick to mature and with an excellent sweet flavour. Works well on various soil types.